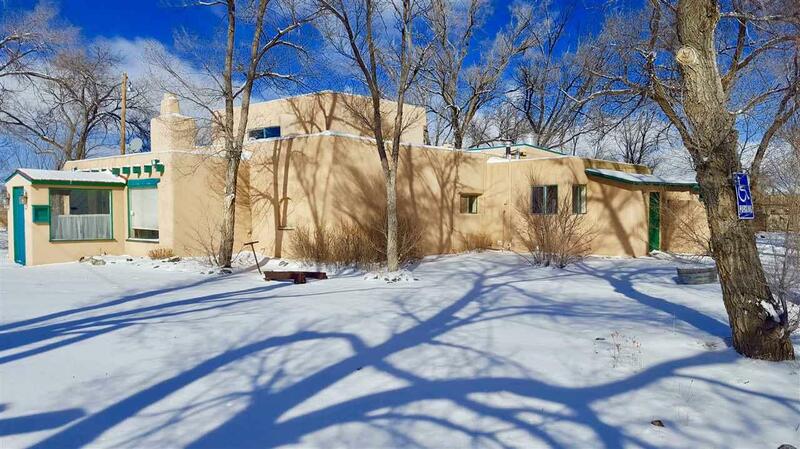 Perfect opportunity to rejuvenate and re-envision this 2600 sq. ft. commercial building, plus residential home. 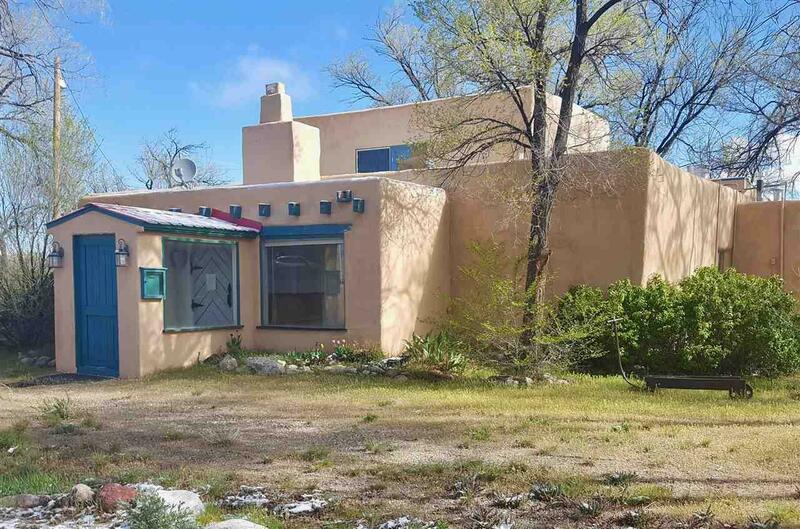 The commercial buliding served as two popular restaurants in the past - the Villa Fontana and the Hungry Gator - where patrons enjoyed fine food and breath-taking views of the Taos Mountains from the back outdoor patio, with gardens and a pond. It was most recently used as a retail gift and used bookstore. 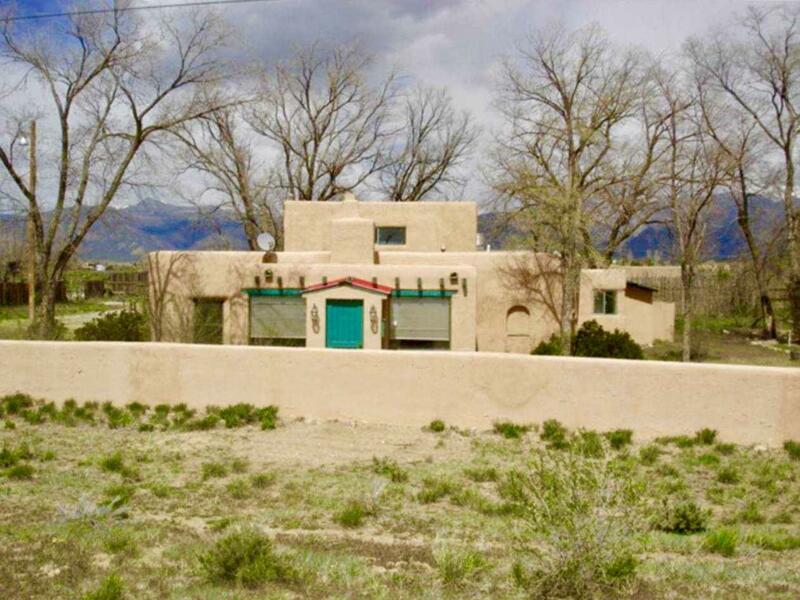 Build your dream here and live next door in a very appealing and cozy 1300+/- sq ft 2-bed 1-bath home. 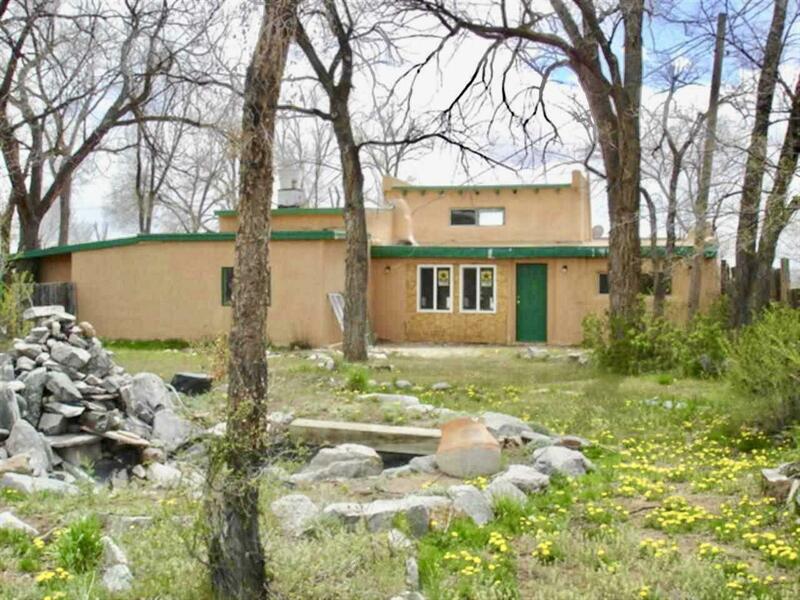 Or, own and lease out this duel use, 1.56 acre property as an income-producing source. Commercial property heated with wall space heaters. Residential property heated with free-standing gas furnace in dining area.